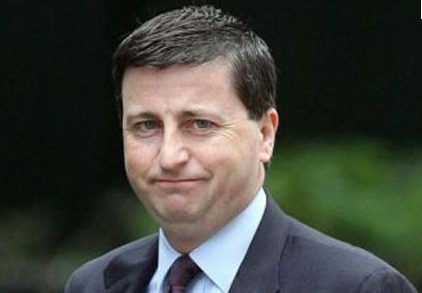 Douglas Alexander MP. Admits that "Labour Has Failed Scotland"
Finally, five months after May’s drubbing and several months into a leadership contest comparable to watching paint dry, there are some signs of life in Labour. Not Scottish Labour, mind you, but someone down in Victoria Street has read dispatches from the provinces and realised that such self-immolating nonsense can’t go on. The result has been a new nippiness towards the SNP and the Scottish Government by Labour MPs in Scotland, initially led by the eternally dour Ian Davidson. The gulf of animosity that exists between their MPs, who had a good campaign in 2010, and the MSPs, who had a train wreck just twelve months later, hasn’t helped. But someone has twigged that internal sniping is bad politics, especially when your party’s competence is in question. Call it self-interest, but someone had to fire up a credible recovery plan and the leaderless rump of MSP seem incapable of doing so. Though this is the same Douglas Alexander who ran Labour’s 1999 campaign on the blunt principle of “engendering fear” about independence and touting the slogan “divorce is an expensive business”, that is no reason to ridicule his mission now. Not only was that 12 years ago but Scotland, Labour and the SNP are now all very different creatures. Of his visit, the BBC’s Brian Taylor shrewdly observes that this signals the end of Labour’s anachronistic (e.g. “now that the Tories are back”) style that defined their campaign from Clydebank. “They sounded like they were girning; they did not sound patriotic” Brian comments. A more damning indictment of how shallow Scottish Labour’s gene pool has grown could scarcely be made. Reasonable as Douglas sounds and sensible as his position is, that goes to the heart of his problem and of his colleagues on both sides of the border. Although simply another region of the UK Labour party, Scottish Labour was once such a mighty beast it ran its own affairs and campaigns. The membership was broad and underpinned by social clubs across the Central Belt. But the events of the last 12 years have brought it to a sorry state. Those foot-soldiers left active in Scotland are older, thin on the ground and demotivated by an electoral cuffing. Those elected and their payroll are decimated and many of the more promising banished to jobs furth of politics. That London has to take the woeful remnants of the MSPs in hand speaks volumes for their lack of capacity, let alone ability, to change. And, if Douglas had listened to any council chamber or Holyrood debate recently, he might realise how long a march his Scottish colleagues will need to undertake to ‘get’ the very sensible salvation that he has come north to preach. Because, if he fails, then Labour ‘strategists’ who thought up their “Tories Are Back” campaign will find plenty time to discuss the errors of their political ways with the equally ‘steady-as-she-goes’ Scottish Tories on the same scrapheap of political history.